The current backcountry bonanza is still about what it has always been about. 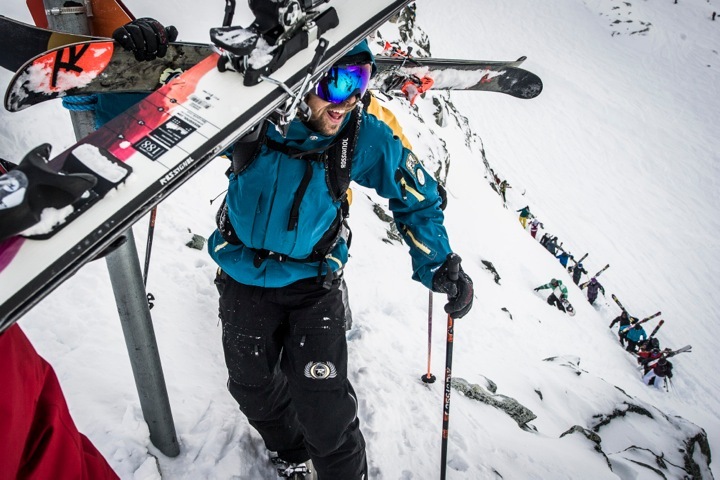 The backcountry, say many in Whistler, is an over-crowded disaster, descending into chaos. Is there a problem there? Not unless you consider a renaissance in design, materials and modes of backcountry transport to represent some kind of conundrum. 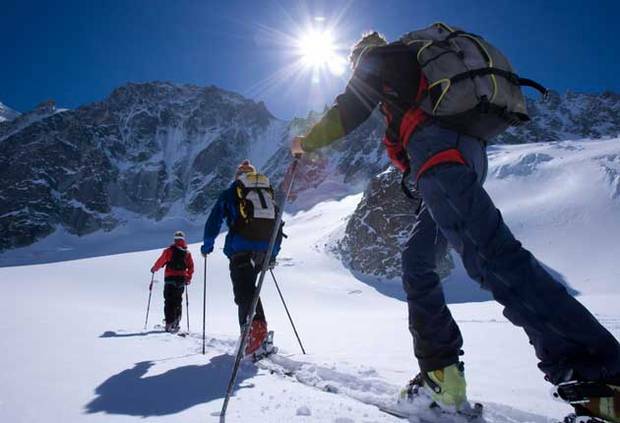 But then, this melange of free-heeling, alpine touring, split-boarding, in-bounds, out-of-bounds, lift service, randoneé racing, freeskiing, and natural object jibbing isn’t as anarchistic as it seems. In fact, such fragmentation is akin to the natural fissioning, diversity and evolution that characterizes both living and non-living systems under the banner of Nonlinear Dynamics—the science and explanatory framework behind one of the most important mathematical constructs of recent times: Chaos Theory. It was German philosopher Friedrich Nietzsche who first articulated the notion “from chaos, comes order.” Long before any supporting scientific framework existed, he made the comment in relation to the same natural phenomena that chemists and physicists would later describe in numerous fascinating ways. 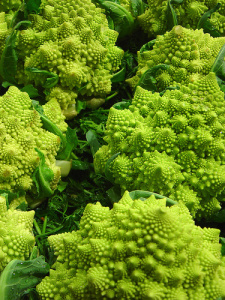 One of the most captivating pursuits of those who study the chaos inherent in natural systems is the computer modeling of nested sets of phantasmagorical shapes known as fractals—patterns characterized by the notion of self-similarity at all levels. Fractal geometry is an underlying tenet of everything from the growth of plants (where the differentiation of cells might mirror the differentiation of branches) to erosion (where the patterns left by water running through your garden for a few hours look identical to the patterns left by eons of water running across continental landscapes). 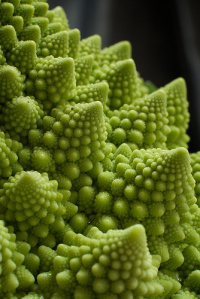 In fractal geometry, complex boundaries exist between orderly and chaotic behavior—in other words, seemingly random processes appear to yield coherent self-organization. Similarly, in skiing, boundaries between the seemingly chaotic backcountry and more orderly pistes are becoming increasingly complex when terms like “slackcountry” populate our language. As this complexity increases, so naturally does the gear aimed at these ever-finer scales of endeavor; can order eventually stem from such seeming chaos? I’ll come back to that. Another major precept of Chaos Theory is the notion of an attractor—the equilibrium at which a system, after periods of fluctuation, tends to settle. Since the classical dynamical works of Lyapounov and Poincaré, characteristic points or lines were known to mathematicians as attractors of stable systems. With fractal geometry, it’s a particular shape that serves as an attractor underlying an observed, chaotic pattern. The perfect example of this is the basic bauplan of a snowflake: though no two are exactly alike, every flake is a basic hexagon visible to the naked eye; under magnification, each of six arms is seen to bear an almost infinite, hierarchical series of six-sided crystals—the same self-similarity at all levels displayed by fractals. It doesn’t take a chaos theorist to deduce that the obvious shape attractor in frozen H2O is the hexagon. Returning to the proliferation of backcountry hardware, it’s easy to see (hypothesize) that the shape attractor—regardless of tool—comprises some kind of performance equilibrium between flotation and turnability; no matter how far from this parameter designs diverge (say, to shave weight or emphasize one or the other quality), they always fluctuate around this simple ideal. That’s because the attractor/equilibrium behind all the different things backcountry riders are doing is the same as it has always been, a natural law if you will: the sensation of speeding downward through deep, untracked snow. It might be hard to model, but at least it’s stable over time. Is there chaos in today’s backcountry? Yes. Is there a problem there? Not a one. Spanky’s Ladder at Whistler Blackcomb, the ultimate complex boundary… photo by Blake Jorgenson from the #WhistlerUnfiltered #BehindtheLens series.